Visual Film Making is some skill to learn. Once you see these shots you’ll know how amazingly it was all done. Have a look! Wanted Because abs can’t be worked on in a day. Soooo…Let’s VFX it! Dil Toh Baccha Hai Ji Nobody even noticed the background in that shot while watching the movie. But after looking at the picture, you’ll definitely feel the difference when you watch the movie again. 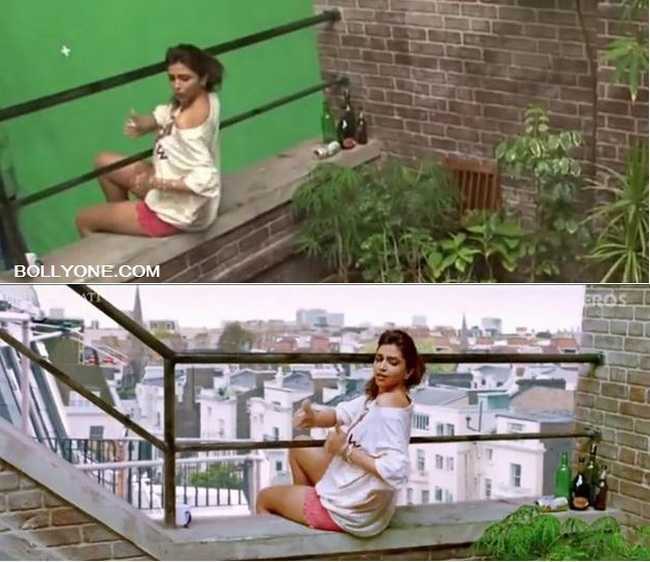 Dostana VFX helps when you can’t shoot a scene at the exact location, just like this one! Kick It’s only impossible to walk like a boss when the train is like 2 seconds away from you. 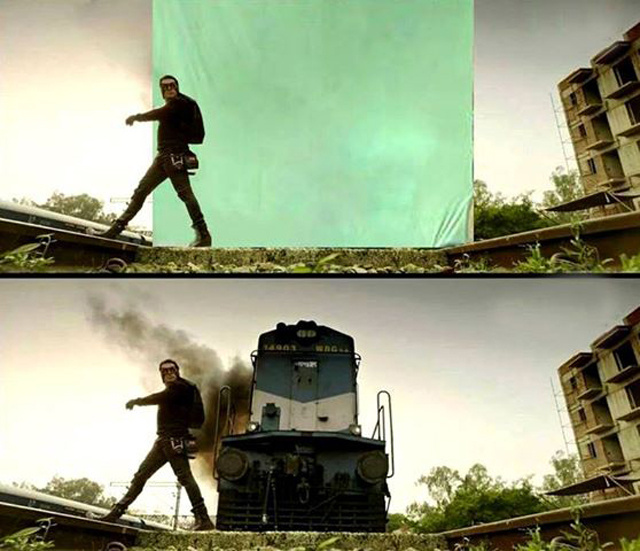 Hence, VFX. 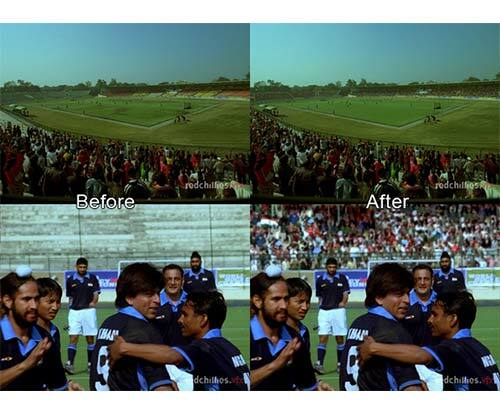 Chak De India How do you gather a crowd without any chaos when there’s SRK in the scene? 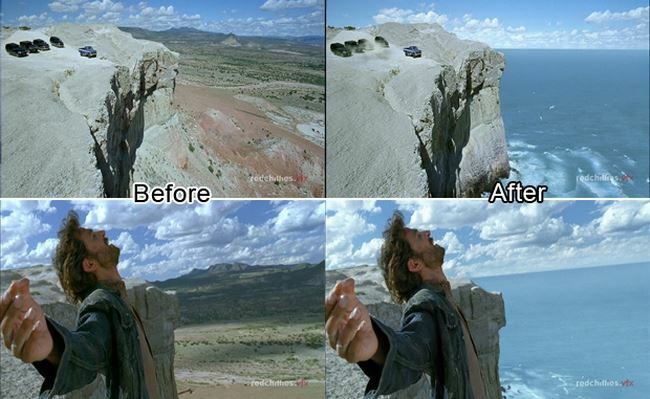 VFX. Simple! Kites You can’t shoot a scene at a very normal location. So hype it with VFX. Cocktail Imagine watching this scene in the movie with no great location background? Naah! VFX fixed it just right! Ready Although 90% of the film looked animated, this still looks so much better and gives Salman Khan’s fan one more reason to love him. Stupid but, okay! 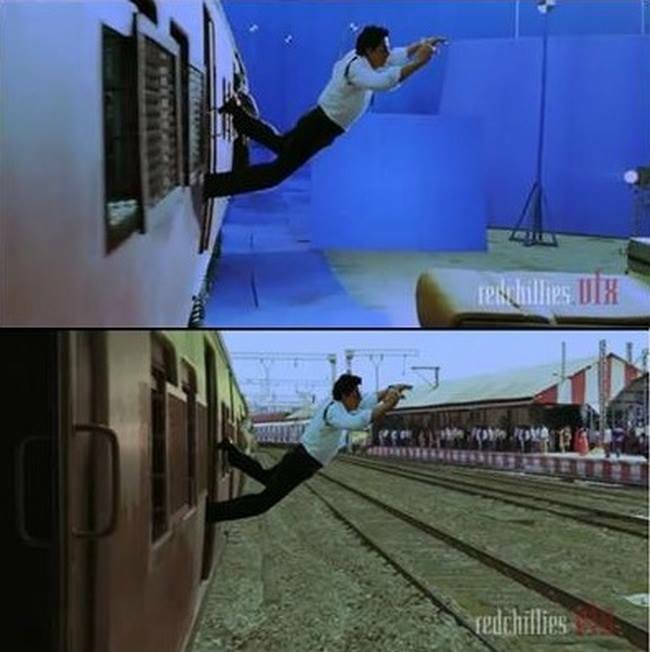 Ra.One Yeah because SRK would never jump off a train like that for his fans no matter what! So how to keep up the impression? 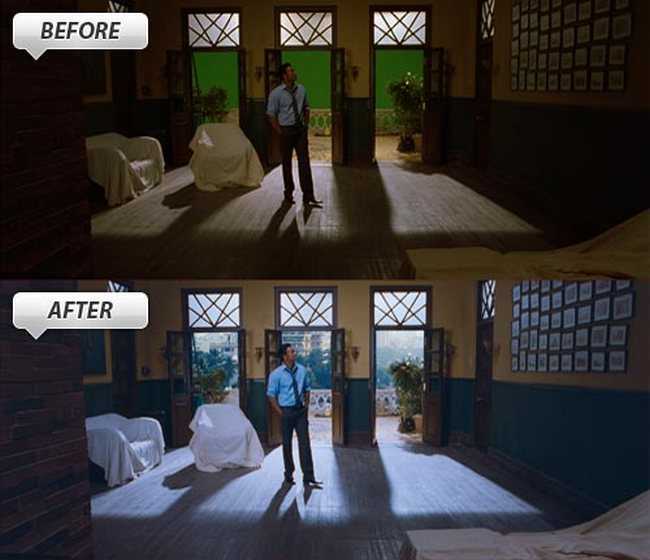 VFX at your rescue! Keep scrolling ahead for more movie relate articles to read!